If you like this website and want to support it, please consider whitelisting me. If you want to know more about the ad first, go ahead and scroll down to the "What's up with the ad?" section. WoWTokenPrices.com is a price and history tracker for WoW Tokens for World of Warcraft. All price data is collected directly from the game and is completely independent of any 3rd party websites. It features detailed region specific pages and a blog with free gold guides, news, and announcements. 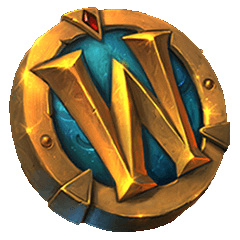 WoW Tokens are items that can be purchased by players for real money and then sold to other players for gold (World of Warcraft's in-game currency). Players who purchase these tokens for gold can use the token to add 30 days of game time to their WoW subscription or, in some regions, opt to add money to their Battle.net Balance. Battle.net Balance is like a virtual gift card which can be used to purchase other games and services offered by Blizzard Entertainment. How much do the tokens cost in real money? How much do the tokens cost in gold? WoWTokenPrices tracks the gold price for each WoW Token. You'll find the current token price for each region at the top of this page. The prices are the same on every realm as long as those realms are on the same region. The prices change every 5-10 minutes and the changes depend on supply and demand. For example, when Blizzard announces a new expansion or a new game, the prices for WoW Tokens will likely rise dramatically because demand will have increased very quickly. How much Battle.net Balance do I get? Do I need a subscription to buy a token with gold? Nope, just log into the game and in the character select screen you will see an option to buy the WoW Token. However, gold must be in a character’s inventory to purchase a Token from the character select screen. Gold in the mailbox will not count towards this purchase. Are there any restrictions on buying or selling these? You may only have a maximum of 10 Tokens in your inventory at one time. Your Blizzard Account can only have one type of Token at a time. The two token types are the "sellable" WoW Token which you buy for real money and the "usable" WoW Token which you buy for gold. A maximum of 36 Tokens every 24 months may be purchased for gold via the Auction House, to be used for game time. As of Feb. 6th 2017, when Battle.net Balance was added as a redeemable option, this restriction has been lifted. What's up with the ad? As I'm sure some of you know, I've been using the Amazon link for quite a while now. Well, I've run into some issues with that and decided to go with an ad instead. I did NOT do this lightly. I'm not going to be a jerk and disable the price boxes and graphs if you're using an ad blocker like some people do, but if you like this website and want to support it, whitelisting me would make my day. And, if you do, send me a message on Twitter letting me know! ©1996 - 2014 Blizzard Entertainment, Inc. All rights reserved. Battle.net and Blizzard Entertainment are trademarks or registered trademarks of Blizzard Entertainment, Inc. in the U.S. and/or other countries.